Shepherds of Woe is a program that allows you to earn promo card rewards! Each month a new quest will be available with a new reward. When you complete the quest, simply send an email to support@studiowoe.com with your mailing address and your reward will be sent to you immediately. 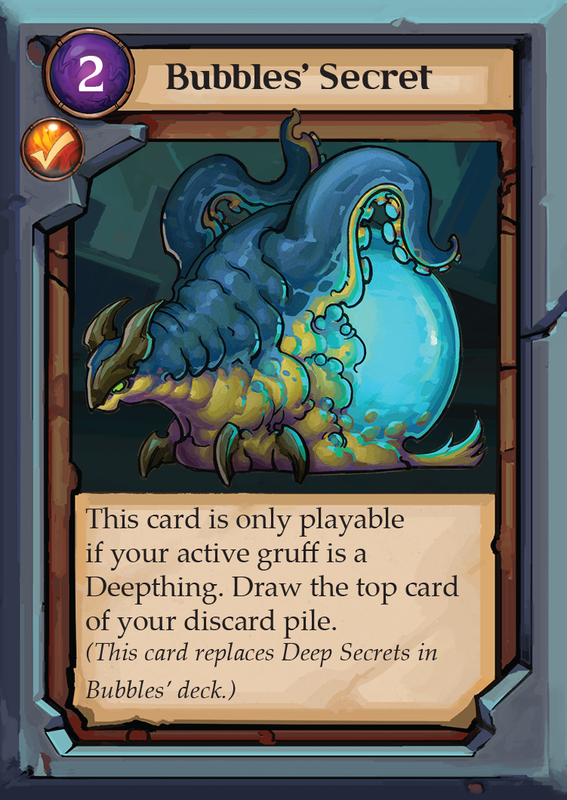 The first Shepherds of Woe quest will earn you a promo reprint card that replaces Bubble's misprinted "Deep Secrets" card. To earn the card, simply rate and write a brief review for Gruff: Stuff of Nightmares here then send a link to your review (or a screenshot of it) to support@studiowoe.com and we will ship the card over to you. If you have already written a review for Gruff: Stuff of Nightmares, that works too! Just send the link over to me and I will get you hooked up! I am really excited for this new program! Thank you all for your support!